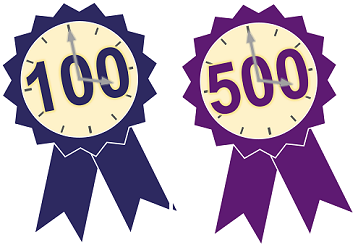 An easy and effective way that you can thank your volunteers is to use our 100 and 500 hour certificate scheme. The scheme aims to recognise the valuable contribution that volunteers are making in Salford by awarding a Certificate of Recognition signed by the Ceremonial Mayor of Salford for those who have given 100 or 500 hours to volunteering. All you need to do is complete a short form which can be downloaded from our website and we will send you the certificates. We will be joining the Makers Market on Saturday 10th June 2017 from 10am to 4pm at Eccles Precinct to promote volunteering. We have a few extra stalls available so if you would like to take this opportunity to promote your opportunities, sell products or raise funds please contact Claire Roberts on 0161 787 7795 or email claire.roberts@salfordcvs.co.uk. For more ideas and inspiration for Volunteers Week 2017 plus free resources go to the Volunteers' Week website.